New event announced: Bug time event. Starting on april 2 till april 9, Bug type pokemon are more common. No shinies have been announced yet. Bug Out! A new Pokémon GO event that takes place from April 2-9 featuring increased Bug-type spawns, 2x Incense duration, and increased Incense spawns! What do I say about this event? 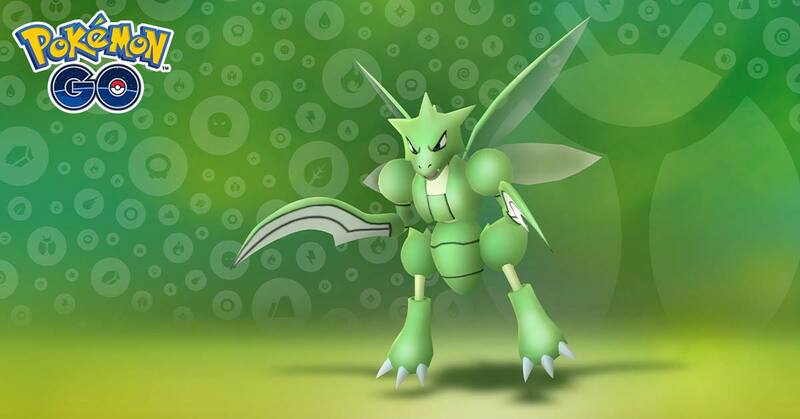 Since Scyther is shown, I think Shiny Scyther will come. But it can also be like Oddish when Niantic fooled us all. If not Scyther, I’d say either Shiny Nincada or Venonat or both of them. I’m assuming the Nincada task will return to Pokestops. I’ve seen an increase of Bugs since Nov/Dec. Get many more and there will be nothing else to catch. I’m a bit over the continual quick succession release of themed events tbh. New Shiny doesn’t excite me as I play too many hours catching lots of Pokemon and I’m not getting any at all. I’m glad I didn’t evolve my best Scyther yet.